Ed Vaizey insults every archaeologist and heritage professional! “I salute all the responsible metal detectorists – true heritage heroes – whose patience and unceasing curiosity do so much to bring this treasure to light”. Ed’s remark echoes the one by his predecessor David Lammy, which caused massive offence (but it’s so much worse now against the background of redundancies and vicious funding cuts). He needs to be better briefed. We have to tell you Ed you got it horribly wrong. We’re big fans of archaeologists and heritage professionals (loads of study and dedication and a terribly low level of remuneration – what’s not to like?) But we’re less keen on artefact hunters – all of them have too many pockets and a lot of them have too much interest in money and not enough social conscience (while the precise opposite of all three are pretty much the defining traits of archaeologists, both professional and amateur). And no, defining some of the artefact hunters as “responsible” does not make them praiseworthy! Archaeologists are responsible. People who run conservation websites are responsible. Bus drivers are responsible. So what’s special about these detectorists? They report their Treasure Finds – fantastic! But that’s just complying with the law like the rest of us do constantly without being hailed as heroes. And don’t forget, unlike almost anyone else in Britain they get massive rewards for doing so! As an example of one of Ed’s heroes let’s go to the top – the poster boy of the Treasure Act, the finder of the Staffordshire Hoard. Truth is, he was indulging in his hobby, simple as that and got lucky one day. And for that he and the farmer got paid the annual salaries of 200 archaeologists. So he needs no deification – indeed if the role of that finder is to be highlighted at all then the number of days he kept digging and piling the stuff on his kitchen table without contacting the authorities shouldn’t be brushed over should it? Fair’s fair if society is going to make him a millionaire, eh? So it’s like this Ed. The treasure finds are great and, to mouth a platitudinous truism, “if it wasn’t for the finders we wouldn’t have them”. BUT – and here’s where you need to concentrate and take wider advice than you have evidently been getting: to say as a consequence “treasure = good ergo artefact hunting = good” is simplistic – nay childish – and certainly wrong for it completely conceals the bigger picture. You should consider why PAS was set up 15 years ago. It was NOT because it was felt “artefact hunting = good” . PAS was tasked with outreaching to, educating and persuading artefact hunters in order to mitigate the malign effects of what was universally seen as a damaging activity (which it still is – see the Artifact Erosion Counter). It was not set up to partner, promote, encourage or expand the activity – those are perversions of the intended purpose – as are statements by two Culture Ministers saying metal detectorists are heritage heroes. The hope expressed in the Commons in the debate that set up the Treasure Act: “I trust that we will now join the great majority of other civilised countries in passing a law to protect our rich and important heritage of portable antiquities” has yet to be fulfilled by a single molecule. It isn’t even regulated for goodness sake. Talk of heroism isn’t going to help. Finally, Ed, consider this: no foreign Culture Minister talks like you and no other country is clamouring to legalise an army of artefact hunters so they can unearth their own treasure items – responsibly, heroically or any other way, even though it’s a cert they’ll all have them. No, marvelous though some of the treasure is, it comes at far too high a price and every other country knows it does (your previous claim, that PAS is probably the envy of the world has simply no basis in fact. You really do need to get better briefed – whoever let you get photographed metal detecting a while back – when PAS employees have always made darn sure it doesn’t happen to them has rather let you down! Here’s a little calculation for you that is likely to have been made in other countries but hasn’t been put to you: how far would the one thousand treasure items found each year stretch if each artefact was lined up edgeways? A yard or two? The artefacts dug up and mostly not reported since PAS began would stretch 11.75 miles. Now, what was that about heroes? Completely agree with everything above , the importance of context is paramount , if we are to learn anything from these finds , sad that all that seems to matter really is intrinsic value rather than learning from artifacts . Very sad . 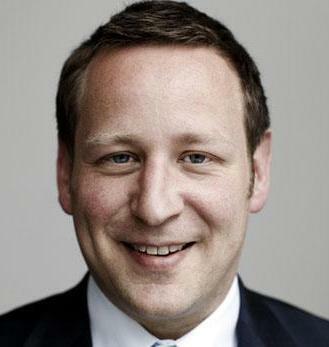 Mr. Vaizey is after all a Tory for whom only money matters. Doing something for others because it is right to do so, is beyond his ken. We all know the reality unfortunately he has the power. A simple display of ignorance of a key area of his cultural brief. Par for the course nowadays in government. Rarely is appropriate ministerial responsibility allotted to individuals who have any academic or professional qualification in that particular field. Mrs Parry Jones, But is Heritage, Heritage if no-one knows about it and is lost to time and history? Metal Detectorists find lost treasures on sites which have not been recorded or are in rumor only… Is it then the case that these artifacts would be more important lost and forgotten or as artifacts which are out of context? But that is absolutely not a description of what the vast bulk of the activity is about. Metal Detectorists, to a man and woman, wish to maximise their finds rate and therefore target the hundreds of thousands of legally unprotected but known and important archaeological sites. Removing artefacts from those in an unstructured fashion, randomly, selectively and needlessly – and mostly without reporting them – can hardly be said to be other than damaging to the public interest. Where’s the heroism in that? Some of the comments from the author and additional comments are truly one-sided and bigoted. “Artefact hunters – all of them have too many pockets”……”metal detectorists to a man and woman….. target legally unprotected but known and important archaeological sites.” etc etc. To make such sweeping generalisations is not only ill-informed, but also irresponsible. There are detectorists who are responsible, who are detecting on previously unknown sites, and who cause no damage as they are only detecting finds in unstratified plough soil. Unfortunately there are some detectorists who tar the reputation of the good ones. But arent there are also some pretty bad archaeologists out there? I don’t disagree that Ed Vaisey’s comments about detectorists being heritage heroes is also ill-advised, but you should surely bring a little more balance to your article? Attitudes like yours will only help to alienate detectorists, and discourage any mutual co-operation between archaeologists and detectorists. Most artefact hunters target legally unprotected but known and important archaeological sites, most artefact hunters don’t report all their finds and most artefact hunters are therefore irresponsible under the terms of the official Code of Conduct. Ergo, as I am sure you would agree with us, most artefact hunters are the antithesis of heritage heroes. How pointing it out to the Minister is bigoted is a mystery. What would you have us do? Say it’s not true? Not a very good month. Local History group holding a metal detecting rally, Boy Scouts metal detecting, the second episode of Britains got treasure and the culture minister singing the praises of metal detectorists. Where will it all end I wonder? I dont think that metal detectorists should be classed as “heritage heroes”. However, it would be nice to get recognition for what we do actually contribute. Language like “artefact hunters” and “targetting legally unprotected sites” is all a bit too emotive. Yes, sites are researched and “targetted”, but you can only dig if you have permission (i assume that this is the same for archaeologists..?). The majority of finds are normally made within a spades depth of soil (the same depth that would normally be taken off when removing the turf for an archaeological dig) and as long as any finds are logged, cared for and recorded with the PAS then i fail to see why this would not be seen as contributing to the heritage conservation of a specific area. Yes, it is true, many detectorists fail to submit their finds for recording and only detect to add to their own collections. But please this does not apply to all detectorists, so stop tarring all detectorists with the same brush and instead start talking to the more responsible detectorists to see how we can improve things together. Thank you for the link to the Ministers email address… i will be writing to him to outline a more balanced viewpoint. Eh? But already you get far more recognition and praise than anyone else that is involved in archaeology. You even have your own Government quango dedicated to praising you! Language like “artefact hunters” ….. is totally accurate isn’t it. Why would you not want people to think that’s what you do? “targetting legally unprotected sites” is not emotive it’s entirely accurate isn’t it. You say yourself that “sites are researched and “targetted””. We agree. “ as long as any finds are logged, cared for and recorded with the PAS ….” You make it sound like that’s the norm. Trouble is it’s not. That’s the problem. Funnily enough, we’re the people that DON’T do that! Detectorists and many archaeologists do. They say detectorists that don’t nighthawk are all fine fellows. We say 70% aren’t, as they don’t report all their finds. OK? You are correct on one issue heritageaction. Good. Well for starters you can divorce yourself from those who DON’T “dig responsibly and painstakingly record their finds”. Just because both you and they own metal detectors doesn’t mean you and they have anything in common. You don’t. They are selfish and antisocial, you aren’t, why ruin your own reputation by being associated with them? Resign from any club that doesn’t have a rule making reporting to PAS compulsory (that’s all of them except one) and from any national federation that hasn’t the same rule (that’s both of them). Then set up your own national federation and clubs WITH those strict rules and watch the “recognition for what you actually contribute” and invitations to dig come pouring in. PS, we do know of your Group and your wish for it to be an exemplar. We’re happy to discuss it here. Your “standards” are currently blank. Obviously the “report to PAS” rule would fit well there. Also, see here. https://heritageaction.wordpress.com/2010/11/13/ethical-metal-detecting-association-launched/ Most detectorists think it is nonsense. But most detectorists don’t behave themselves anyway so they would. Not really. Just draw up a set of standards and let anyone who wants to subscribe to them do so. I should warn you, I suggested this in conjunction with a group of detectorists years ago and it got strangled at birth by those who saw it as a threat to their freedom (to misbehave) so you may get some hassle. But being recognised as the aristocrats of the activity and known to be not having awful people in your ranks and having all sorts of benefits and open doors appearing as a result should be ample compensation. Speaking as a person from another country, I find it bizarre that metal detecting is legal without a licence. Metal detectors also have a reputation of trespassing. From some who is an heritage professional this is a major insult as it is characterised as a selfless profession. Organisations such as the National Trust are registered as non-profit, charity organisations for a reason and the fact that so much good is done by volunteers and people who loan their services out of genuine interest for the history and subject. People go into heritage to get something more than just a cheque at the end of the day. Something which him and his fellow colleagues don’t understand. Give the position to someone with actual knowledge of the sector. What a high brow, blinkered, ill informed and bigoted group of heritage heroes you really are. I could mention that the vast majority of finds by metal detectorists are rubbish and detritus left by a millennia of farming activity and that more damage is done by the plough than by detectorists. I could mention that some of the most valuable and interesting finds of modern times are a result of metal detecting and would not have been found without them. I could point out that the vast majority of detectorists are not in it for monetary gain and have never sold an item that they have found. I could also mention that there are millions of square inches of land that would, and could, never be investigated for the nation by the relatively few, so called legal heritage heroes (and I would remind you that metal detecting IS LEGAL and the vast majority of people enjoying their hobby are doing so LEGALLY) But putting all that aside, most of the above article can be compared to racism, nationalism and sectarianism. All of those are borne out of ignorance and fear. In keeping yourself at a distance from the groups that you malign, you miss the opportunity to understand, educate and learn from metal detectorists and their finds. This is where the PAS and FLO’s are trying a different way, they are including the detecting community, not excluding them, as the writer of the above article would clearly do. Now, I realise that this article was written a few years back and some views have changed, but we still hear this nighthawk and treasure hunting nonsense in 2018. I would say to all you “professional archaeologists” and “heritage heroes”… come and talk to us, attend some of our club meetings, add your knowledge to the vast amount that club officials and members already have……………. and uncover your blinkered eyes. You may not like us, but at least you might then have taken a step towards correctly understanding us. Mr Horn, the vast majority of recordable (as defined by PAS) finds go unreported (as confirmed by academic studies and admitted by PAS). Smokescreens don’t cover that shameful fact. Come back when you are willing to accept the fact and have proposals for doing something about it.